"Your winner, and new undisputed UFC flyweight champion of the world: Henry 'The Messenger' Cejudo." Just like that, UFC Octagon announcer Bruce Buffer spoke it into existence on August 4, 2018. Demetrious Johnson's nearly six-year reign as UFC flyweight champion had finally come to an end. It had been a long journey up to that fateful night. Johnson's first UFC fight took place in the bantamweight division in 2011. "Mighty Mouse" got off on the right foot with the company, winning his first two bouts en route to a title match with legend Dominick Cruz. Although a unanimous-decision loss stopped Johnson in his tracks, he turned heads with his display against the 19-1 Cruz. UFC president Dana White was in the process of establishing a flyweight division within the promotion. He approached Johnson, who was fighting one weight class higher at the time, to drop down and be one of four participants in a flyweight tournament to crown the inaugural champion. Johnson agreed, and after two tournament wins, he became UFC's first-ever flyweight title holder. In what is considered to be one of the most dominant streaks in UFC history, Johnson successfully defended his title a record 11 straight times. It wasn't until almost six years later that an Olympic gold medalist would be the one to finally get the better of the flyweight king. Considered one of the biggest upsets in mixed martial arts history, the fight against Cejudo was a tight affair. The back-and-forth bout kept people guessing until the end, and after five rounds, the judges ruled in slight favor of Cejudo. However, some have made the case that it was Johnson who should have been named the winner. Johnson says he has no hard feelings regarding his loss. "It was never my division," Johnson told Brett Okamoto of ESPN. "I've moved on to bigger and better things, in my opinion. I am legitimately happy for Henry Cejudo." And that was it. No one could have known that would be the last time we saw Mighty Mouse compete in a UFC Octagon. On October 27, 2018, Johnson made the move to ONE Championship after requesting a release from his UFC contract. "At the end of the day, I felt that I'm pretty young in my career, and I wanted to try something different," Johnson said during his introductory press conference with ONE. "I've always wanted to travel the world and compete, and actually grew up watching Asian mixed martial arts with PRIDE mostly. "To be able to have the opportunity to travel over to Asia to compete was something I couldn't pass up." Although he's long gone from UFC, Johnson's presence still lingers within the company during a dire time for the flyweights, with speculation that White is looking to axe the division entirely due to low pay-per-view draws. Johnson said that White approached him as early as 2017 threatening to eliminate the division after Mighty Mouse refused to fight T.J. Dillashaw instead of previously agreed upon opponent Ray Borg. "After telling Dana my reasons, Dana angrily told me that I am fighting T.J., once again, with no other option or say in my career, and against the plans we had previously laid out," Johnson said in a statement he released shortly after his disagreement with White went public. "He went on further to say that if I didn't take the fight against T.J., and drop Borg as the opponent, he would get rid of the entire flyweight division. He said, this is for T.J. and I'm taking away T.J.'s opportunity. That fact that he feels that what I should do in my career is for T.J., tells where his priority lies." 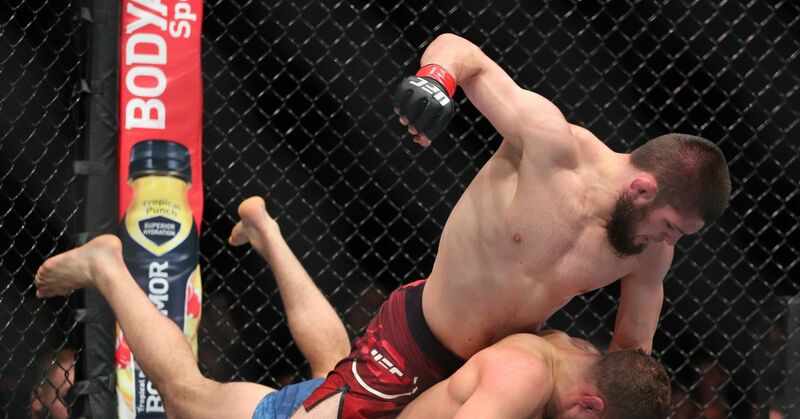 What was supposed to be the final dagger in the UFC flyweight division last January did not go according to plan, with Henry Cejudo defeating bantamweight champion T.J. Dillashaw to keep his belt, and quite possibly the flyweight division, alive. "Where are you, Uncle Dana? Where you hiding?" a smiling Cejudo said after the match, looking around for White. "This victory, and I said it before, it was much bigger than me. This victory was for the flyweights." It certainly was a victory for the UFC flyweights, but it was no longer a problem the promotion's greatest flyweight had to deal with. Johnson formally left UFC when White agreed to release him from his contract and allow Mighty Mouse to sign with ONE, only if ONE released Ben Askren, former ONE welterweight champion, from his contract so he could sign with UFC. This was dubbed the first "trade" in mixed martial arts history. "I tried to let them understand, 'You guys got a guy that's retired. And I'm giving you an active one of the greats. Like, are we serious? This is the best you're going to get from the UFC.' It took them 24, 36 hours, and they came back and said, 'OK, if this and this and this happens.' And that's kind of how the whole thing went down. And then I was just in between both sides and finally got it done." In an interview with B/R Live during ONE's first-ever press tour in the United States, Johnson went into detail regarding his move to ONE and his lasting impressions of UFC. "Obviously I spent a lot of time here in North America. I achieved everything I think that I could achieve with 11 consecutive title defenses," Johnson told B/R Live. "The North American audience isn't very fond of lighter weight divisions, so when I had the opportunity to make the journey over to ONE Championship and start competing in Asia, it wasn't an offer I could pass up. There are no hard feelings for me regarding UFC. I had a great time there. I made a lot of money, fought for championship belts, and I got to meet a lot of fans because of it." Someone Johnson has gotten to know a lot better over the past few months is another former UFC fighter turned ONE athlete, Eddie Alvarez. 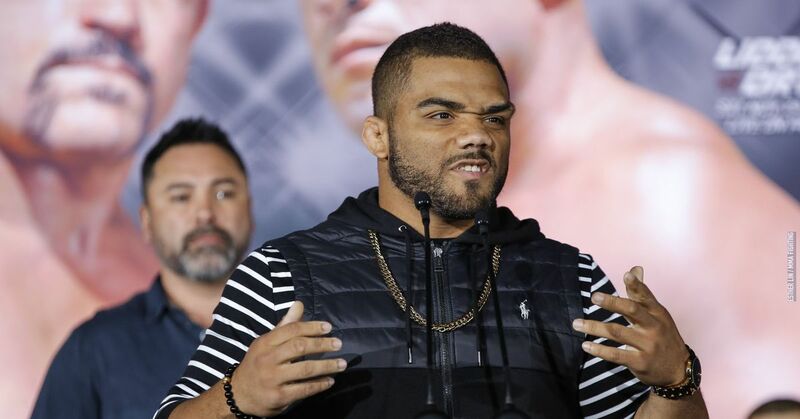 Johnson cited Alvarez's move to ONE just weeks prior to his as inspiration for a change, and he offered advice for any mixed martial arts athlete considering their future. "Something that Eddie Alvarez was very vocal about was testing free agency," Johnson said. "Sometimes the athletes might not want to come over to ONE because they don't fit the brand. My suggestion to any athlete seeking advice on what the next step in their career should be is to go and test free agency, go where you feel you're wanted, and be happy." Alvarez heaped praise on Johnson, who he considers to be the greatest of all time. "I've always admired DJ," Alvarez told B/R Live. "People always ask me who I think the greatest fighter in MMA history is, and I always say DJ. It's very difficult to defend a title against young, hungry lions all the time over and over again. To be able to do it 11 times in a row for the many years, the consistency of performances, I don't think people comprehend the greatness of that. It's just pretty cool to be around each other, feed off each other's energy, and learn from each other." Johnson was immediately intrigued by ONE's management, specifically that of president Chatri Sityodtong, who is a former trainer of UFC champions like Rafael dos Anjos and Rich Franklin. It was Sityodtong's history as a competitor that drew Johnson to ONE, a much different upper management relationship than to that of UFC. Mighty Mouse cited the understanding and empathy of former muay thai athlete Sityodtong and ONE vice president and former UFC champion Rich Franklin as major points for his decision to choose ONE, understanding and empathy Johnson felt was often absent from UFC management that couldn't relate to bout preparation during their butting of heads in 2017. However, eight months after his loss to Cejudo, which resulted in a long rehabilitation process due to a ligament tear, Johnson is ready to take the ONE stage for the first time against Yuya Wakamatsu in the quarterfinals of the ONE Flyweight World Grand Prix on March 31 in Tokyo. The winner of the tournament will become the No. 1 contender for the flyweight title held by Adriano Moraes. "Wakamatsu comes from a great camp," Johnson said. "He's a very young Japanese athlete. He's very tough and has a lot of knockout wins in the first round. He loves the right hand. I'll go out there and see what I can do. I don't like to say I can take advantage of anyone in a competition because a fight's a fight. Anything can happen essentially. For me, I'm just going to go out there focused, do what I do best, and that's be Demetrious Johnson." "My long-term ambition with ONE is obviously to become a champion. I want to be a great brand ambassador and a great ONE athlete. "